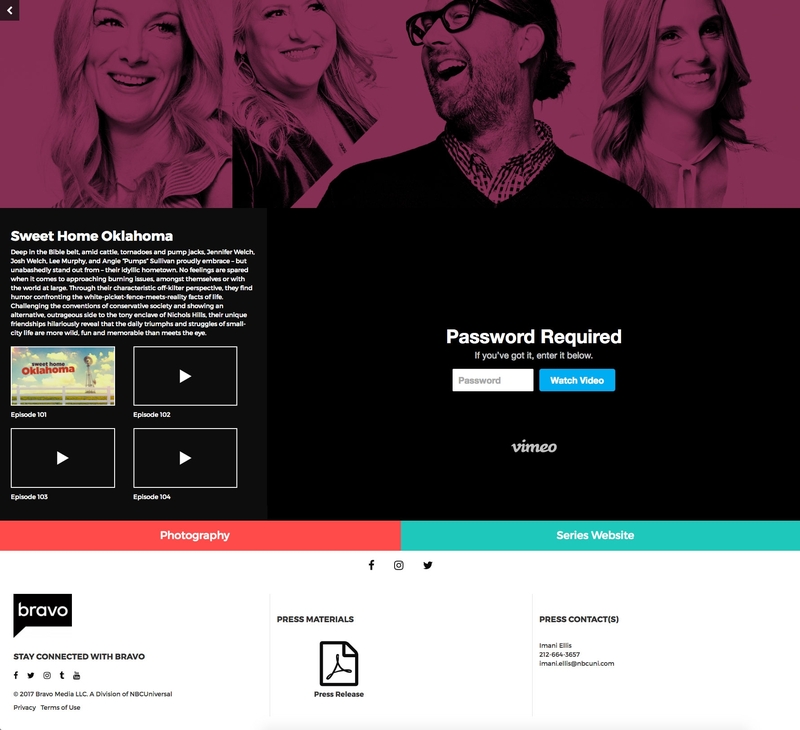 The Bravo and Oxygen Networks came to us to come up with a responsive solution for their online press screening room website. The result was a fully customized platform built to not only serve the press community but also both network’s internal teams. An easy to use CMS system that quickly delivers and auto formats press materials, video content, imagery, and press contacts throughout the system.